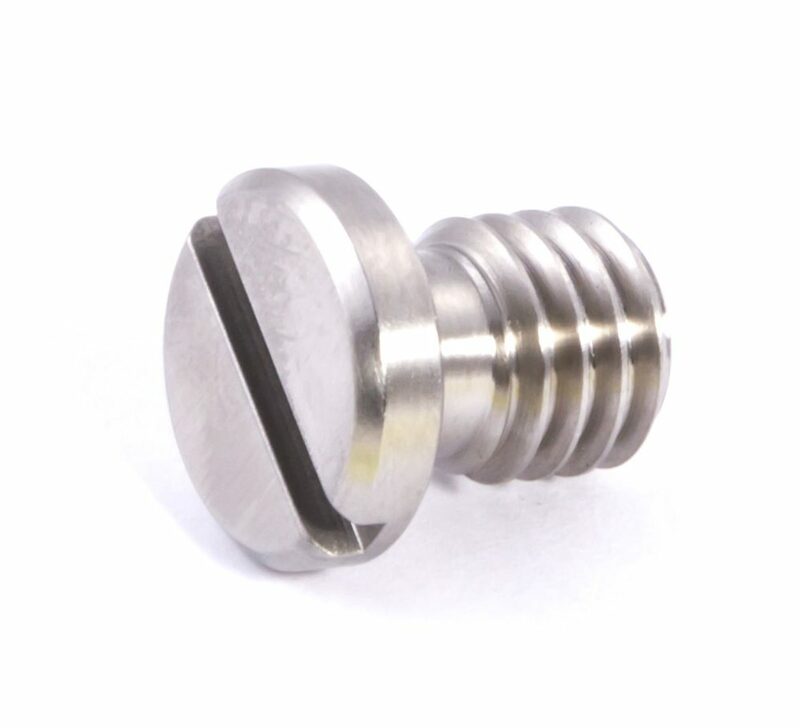 Standard 3/8-16 UNC thread stainless steel slotted mounting bolt for QR plate. Box dimensions: .55 in. x .575 in.